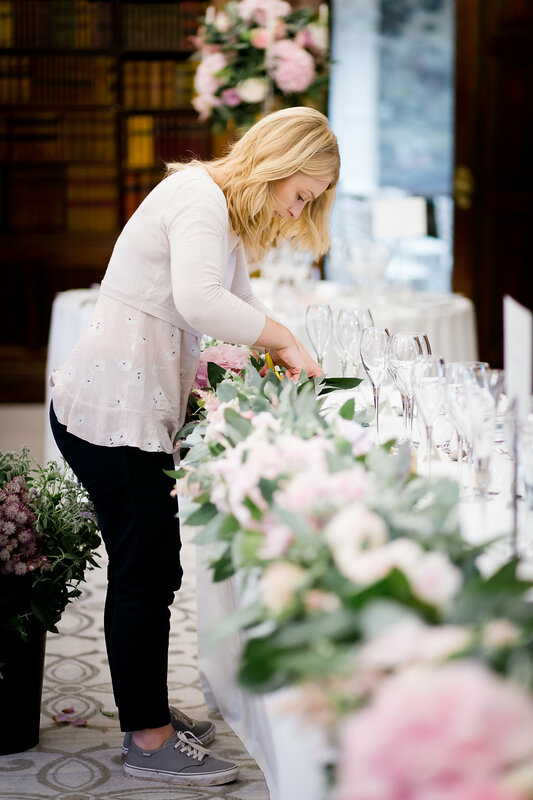 Have you ever wondered what a day in the life of a wedding florist might look like? 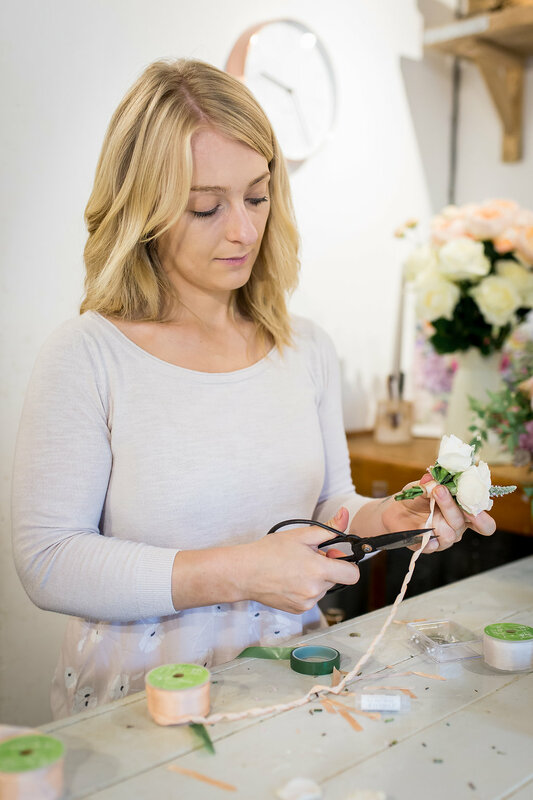 Well, today I’m taking you behind the scenes at Daisy Lane Floral Design. 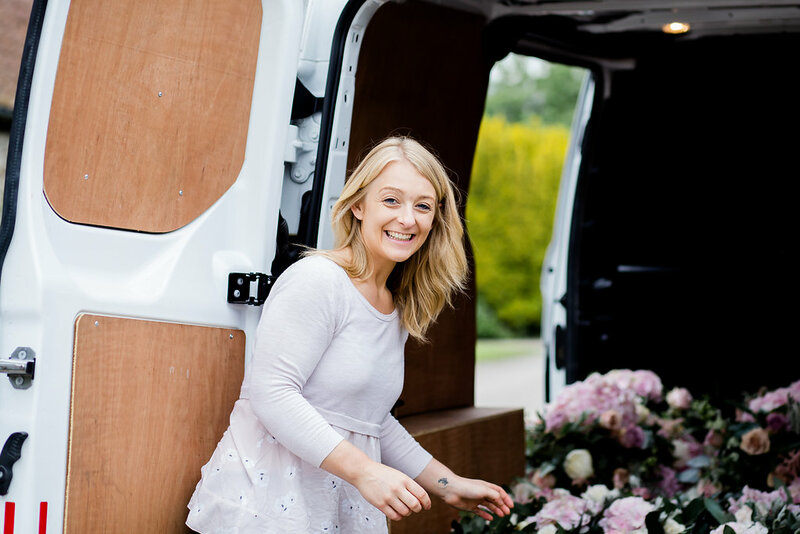 From loading up the van to delivering the bride’s bouquet, this is what usually happens on a busy wedding day. 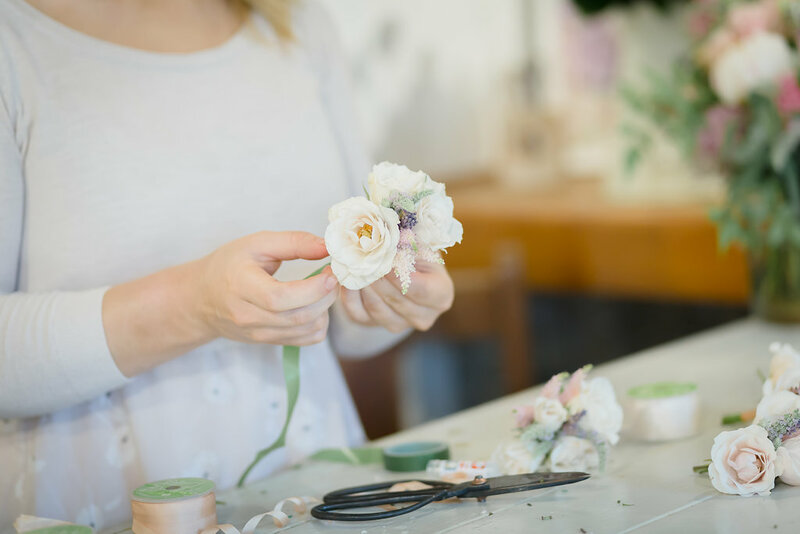 Arriving bright and early at my studio, I start by making all the buttonholes. 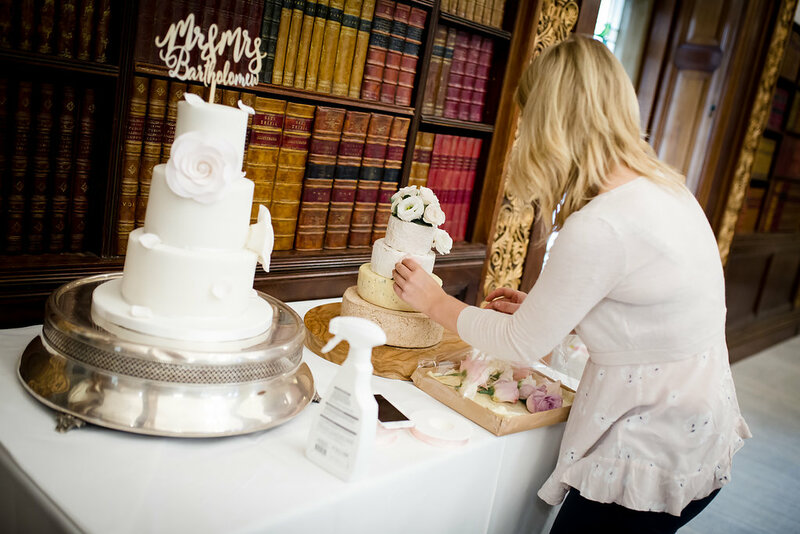 To ensure they look their best, they’re always freshly made on the morning of your wedding. 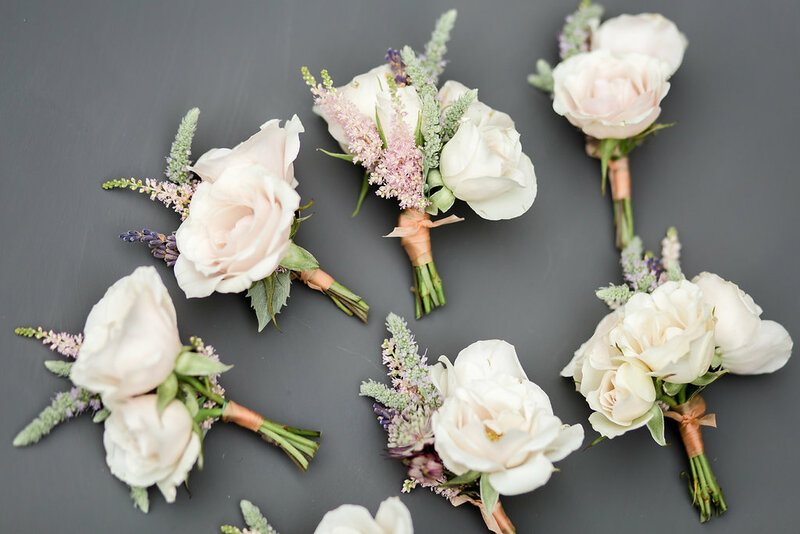 The bridal and bridesmaid bouquets need to be bound with ribbon around the stems. 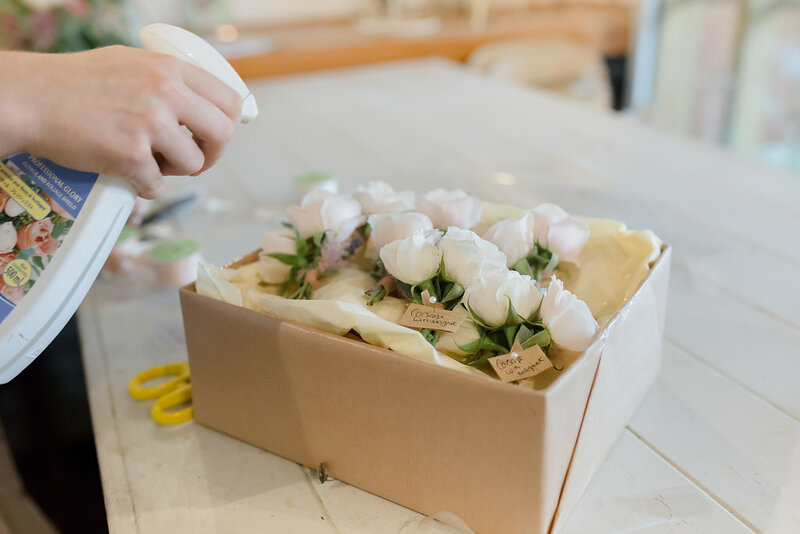 Then they’re sprayed and carefully packaged with layers of tissue paper inside a pretty gift bag ready to be delivered. 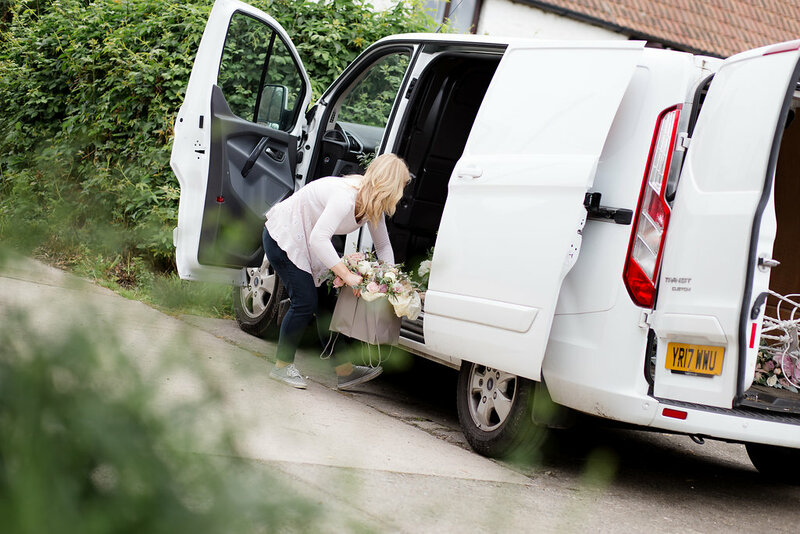 As soon as the flowers are ready, everything is packed safely in the van. 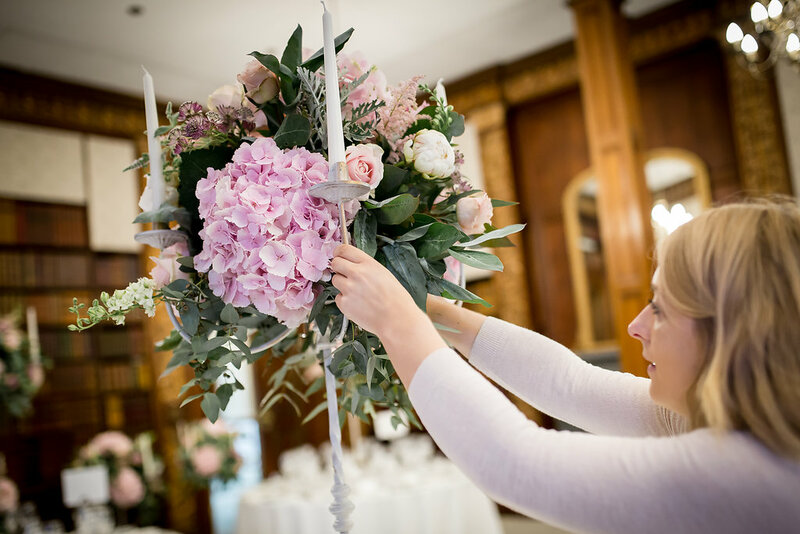 This wedding featured tall candelabras and large arrangements that all needed to be loaded in. 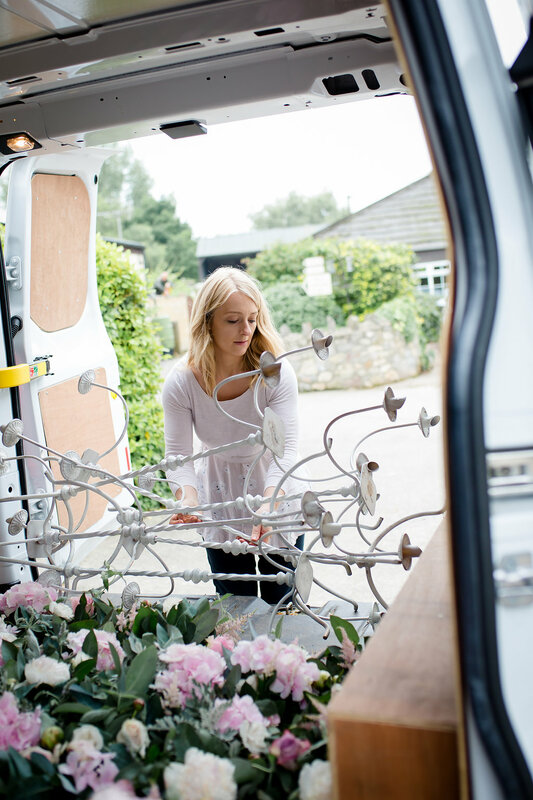 On this occasion, my first job after emptying the van at Clevedon Hall was to secure the large arrangements to the candelabra stands. Once I’d added candles, I placed one at the centre of each table. 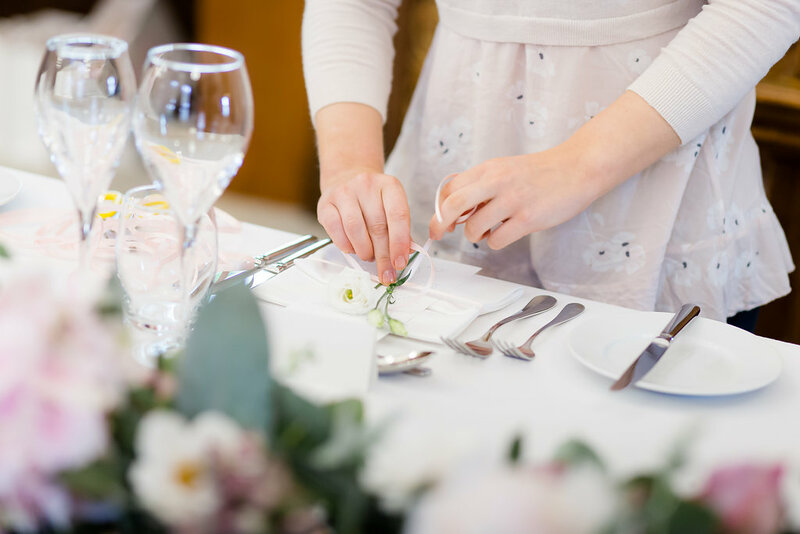 Next, I started decorating the top table. 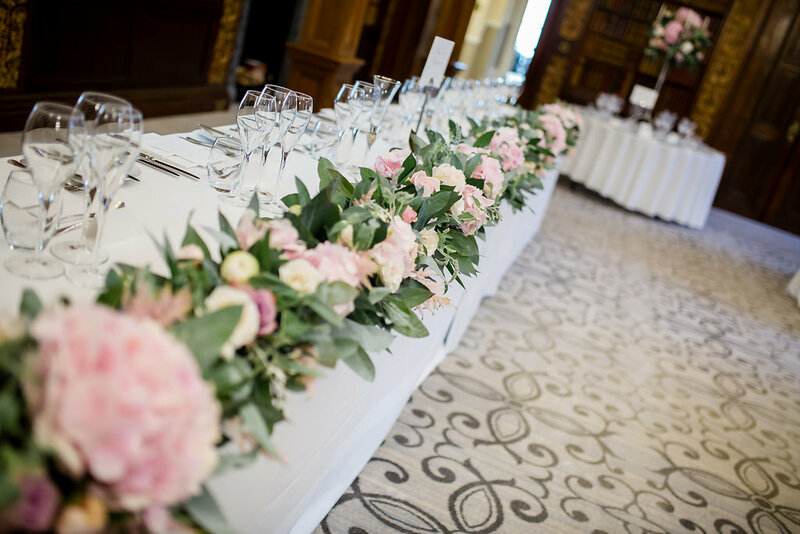 The couple had chosen a long floral runner which I made in sections. After positioning it carefully at the front of the table, I was able to add the final foliage and flowers. 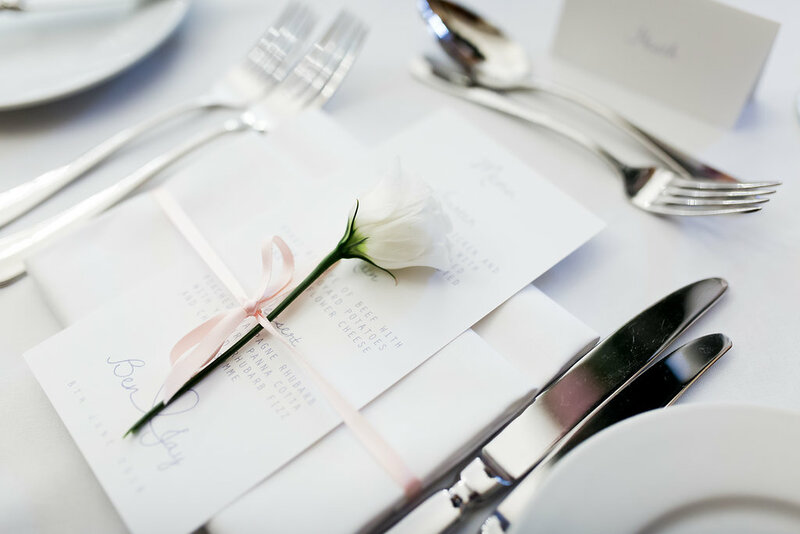 At this wedding, each place setting was decorated with a single lisianthus flower tied with blush ribbon around the menu and napkin. 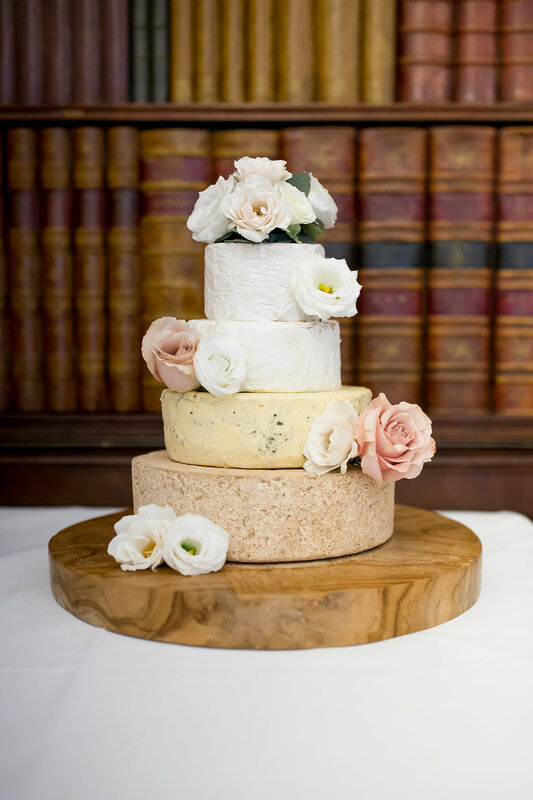 Just before I took the bouquets up to the bride, I decorated the couple’s tower of cheese with wired flowers. 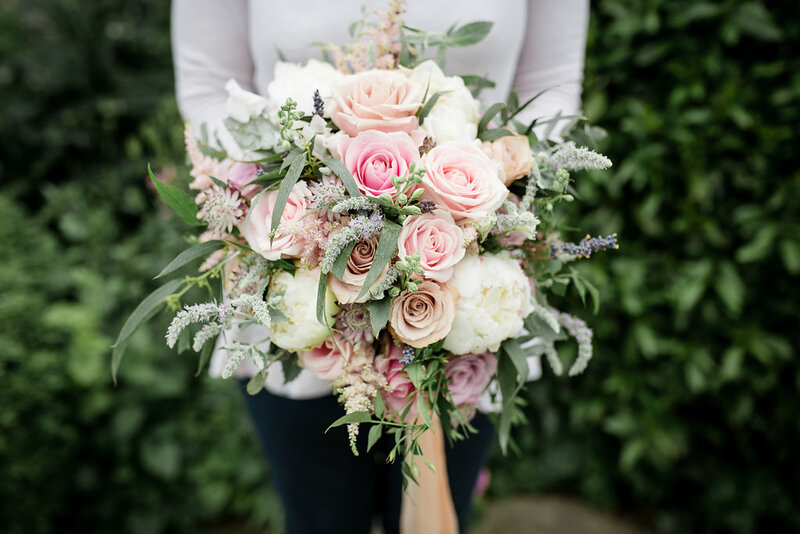 It’s always such a special experience to deliver the bouquets to the bride. I love seeing her reaction to the flowers. 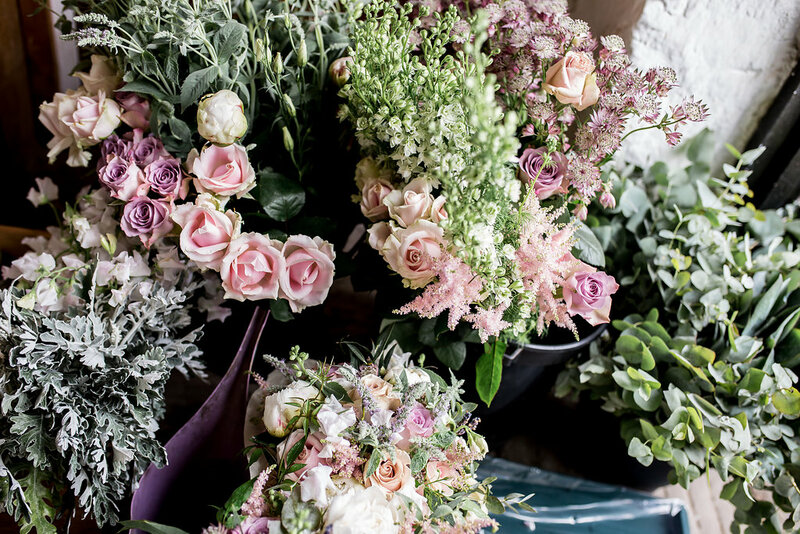 Once all the flowers are in place and the bride has her bouquet, it’s time to leave. 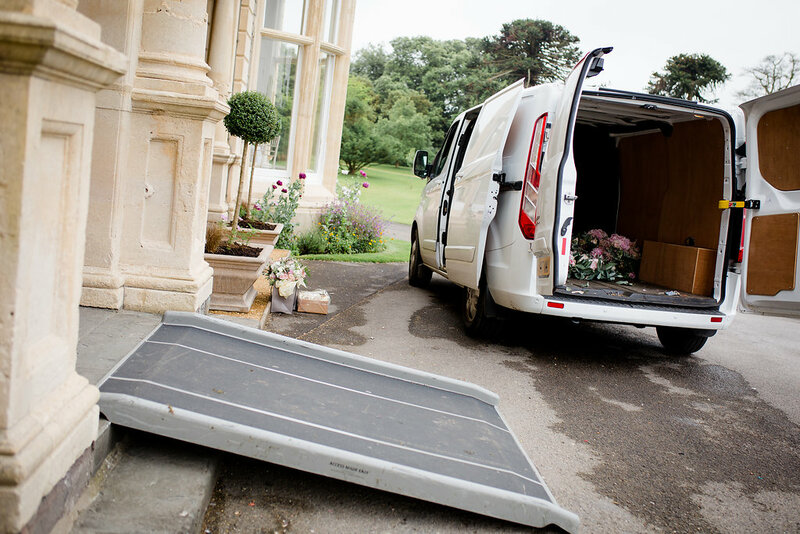 I usually return to the venue the following day to collect any hired items. 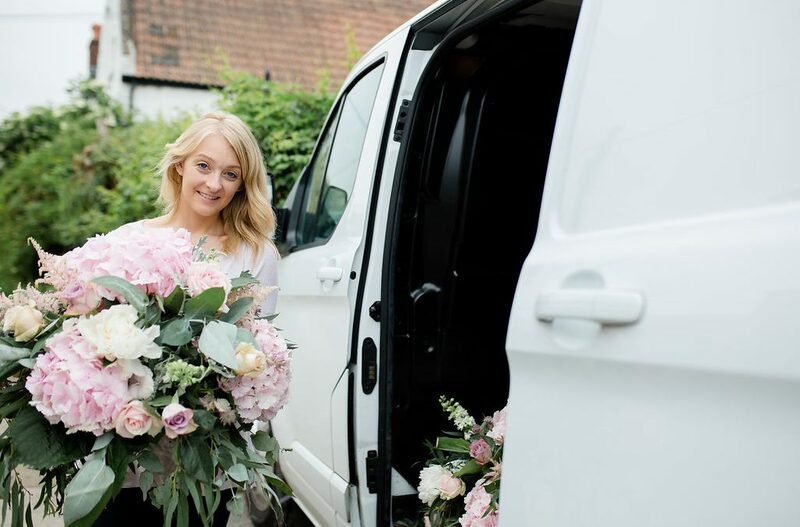 So, that’s a day in the life of a wedding florist! 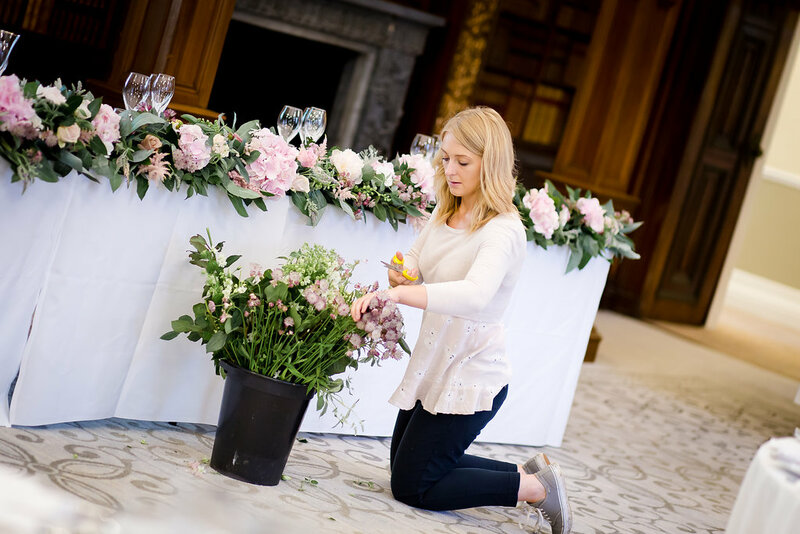 As you can see, it isn’t simply about playing with pretty flowers, although that does feature quite heavily! 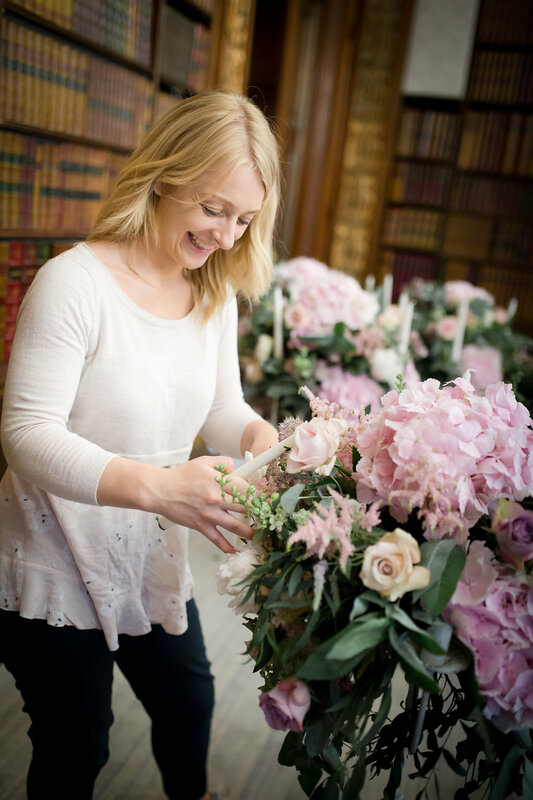 You can read more about wedding flowers at Clevedon Hall here.